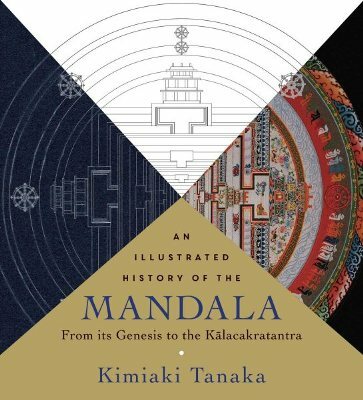 This book is a history of the genesis and development of the mandala from the fifth and sixth centuries, when the mandala first appeared in India, to the eleventh century, when the Kalacakratantra appeared just before the disappearance of Buddhism in India. The 600 years of Indian esoteric Buddhism that concluded the 1,700-year history of Indian Buddhism could be said to have been the history of the development of the mandala. (The Kalacakratantra integrated earlier mandala theories into a single system and established a monumental system unprecedented in the history of esoteric Buddhism. It was thus the culmination of the development of Indian Buddhism over a period of 1,700 years.) The analysis is at the micro level and includes numerous illustrations and charts. Particular attention is paid to proper names, mudras, and mantras that have been overlooked by scholars in philosophy and doctrine, and the author tackles issues that cannot be explained solely from a historical viewpoint, such as geometric patterns, the arrangement of deities, the colors, and their meaning in Buddhist doctrine. Dr. Kimiaki Tanaka (b. 1955) studied Indian philosophy and Sanskrit philology at the University of Tokyo and received his doctorate in 2008 for his dissertation entitled “Genesis and Development of the Mandala in India.” He also studied abroad as a visiting research fellow at the Nepal Research Centre in Kathmandu (1988–89) and held a Spalding Visiting Fellowship at the University of Oxford (Wolfson College) in 1993. He has taught at several universities in Japan, as well as conducted fieldwork in India, Nepal, and Tibet. From 1997 to 2015 he was academic consultant for the Hahn Cultural Foundation (Seoul), and he is also chief curator of the Toga Meditation Museum in Toyama prefecture, Japan, and vice-president of the Tibet Culture Centre International in Tokyo. He has published more than 50 books and 120 articles on esoteric Buddhism, Buddhist iconography, and Tibetan art. He is currently a lecturer at the Toho Gakuin, Keio University, and Toyo University.